When your chakras are open, your physical body and your life are healthy and balanced. When any of the seven chakras are blocked or under-active, it can cause significant disturbances in your body or life. To be healthy and happy and continuing to develop spiritually, it's important to keep all the chakras open, smoothly exchanging energy with the cosmic energy and with each other. But how do you know if each of the chakras is open? So how do you tell if you need to work on opening or balancing a particular chakra? The easiest way to tell is to look at your body and your life. I prefer to keep things positive, so I'll present signs of health in each chakra; departures from that may signal a problem with that chakra. But be aware that there can be huge variations in what indicates health for each individual person. Times of physical unhealth or life turmoil can actually signal progress--a life lesson being learned or a new spiritual level being struggled for. So take what follows as guidelines or suggestions, and let your own inner wisdom be your final guide. A relatively healthy physical body with good vitality; a basic sense of security and safety in the world; grounded; practical side of life functions smoothly; healthy bones, feet, legs, colon, adrenal glands, elimination, weight. Balanced sexuality, neither under- nor over-active; creatively active; good life energy; can play; experiences joy; healthy emotions; open to change; healthy lower back, reproductive and urinary systems. Sense of self-worth; ability to make things happen in the physical world; healthy relationship to personal power (neither shrinking from it or being domineering); right use of will; absence of diabetes, major allergies, hypertension; healthy digestion, adrenals, immune system, muscle system. Balanced, healthy relationships; compassion for others; sense of emotional fulfillment; kindness to self and others; able to grieve in a healthy way; can forgive; can accept others, even when they are different; connection to nature; healthy heart, lungs, thymus, arms, hands. Ability to express own truth; ability to express self; listens as well as talks; honesty; creative expression; healthy neck, shoulders, mouth, ears, nose, sinuses, thyroid, voice. Intellect balanced with other attributes of intelligence; insight; intuition; ability to see "big picture"; good concentration and memory; healthy vision; healthy eyes, pituitary gland, hypothalamus. Sense of meaning in life; sense of connection to a higher power or larger purpose, and to the rest of being, generally; highly developed consciousness; wise; inner peace; mentally stable; acceptance of others; healthy cerebral cortex, pineal gland. 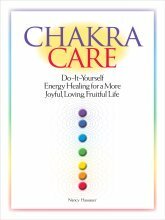 If you'd like lots more ways to tell if individual chakras are open or blocked, you may enjoy my book, Chakra Care: Do-It-Yourself Energy Healing for a More Joyful, Loving, Fruitful Life, which I wrote to help people understand the chakras. "Chakra Care" has several pages for each chakra, giving clear examples of how health and unhealth in each one might look in a person's life. It also gives over 500 activities that that anyone -- not just professional energy healers -- can use to balance, align and nurture them. 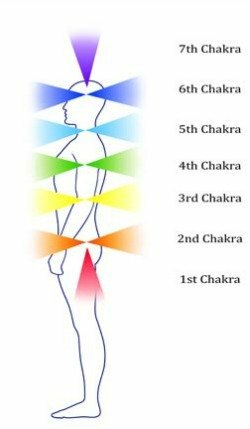 Go from "How to Tell If A Chakra Is Open" to site home page . Visit site of Anodea Judith, doyenne of Western chakra work.